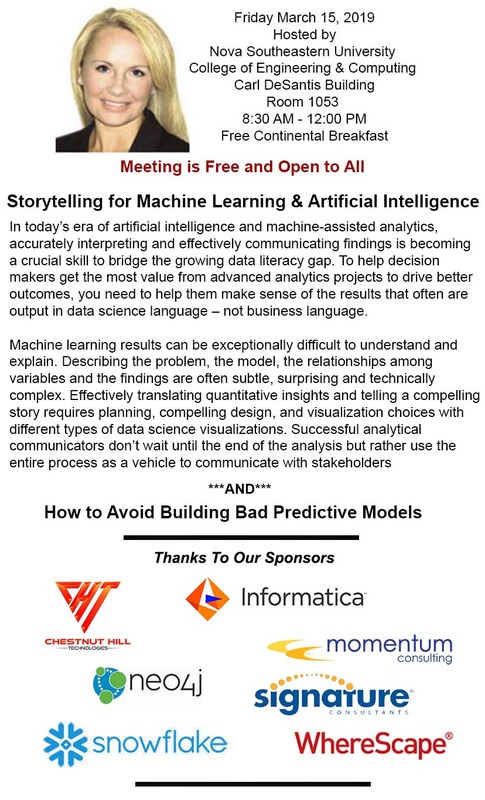 Join us at the next TDWI South Florida Chapter meeting featuring Jen Underwood on Storytelling for Machine Learning and Artificial Intelligence and How to Avoid Building Bad Predictive Models. The meeting will be taking place on Friday, March 15th at 8:30 AM at Nova Southeastern University. All TDWI events are free and open to the public. All you have to do is register on the TDWI meeting page. We hope to see you there!